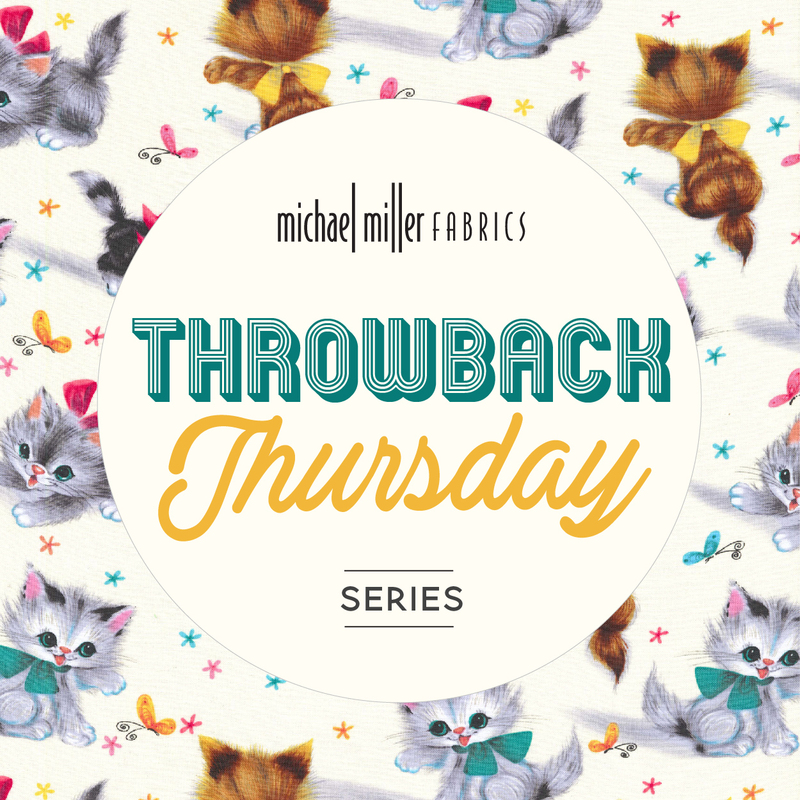 making it fun: Throwback Thursday :: Kitties! 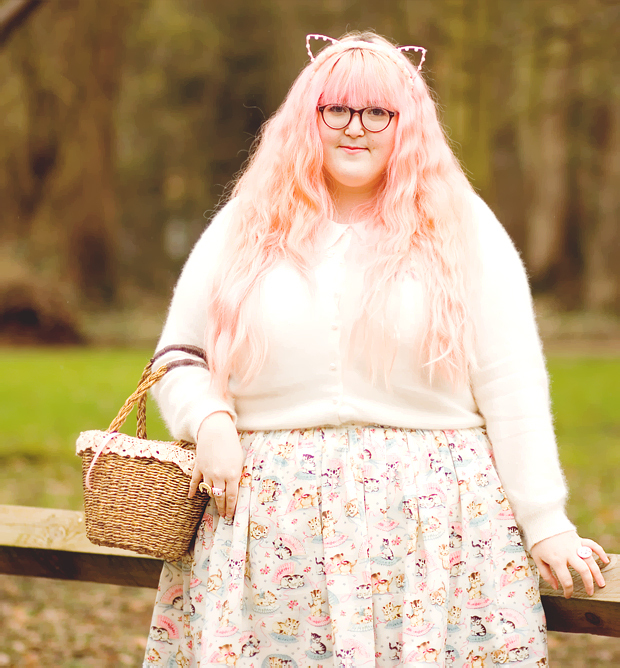 Isn't this retro kitty dress just the best? 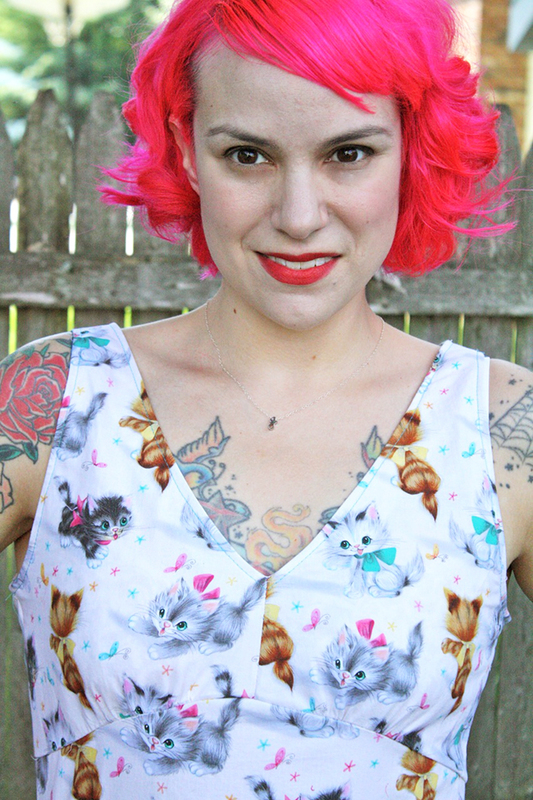 Gertie used the Marilyn Dress pattern by another amazing artist, Kay, of Serendipity Studio! Awwww... so cute. 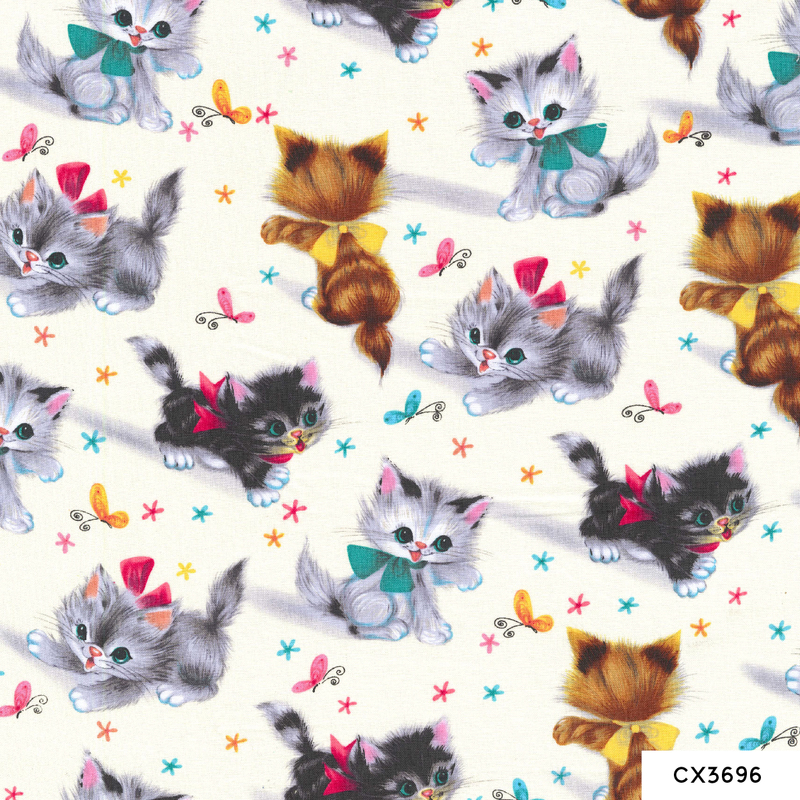 Do you remember this throwback kitty fabric pictured below? 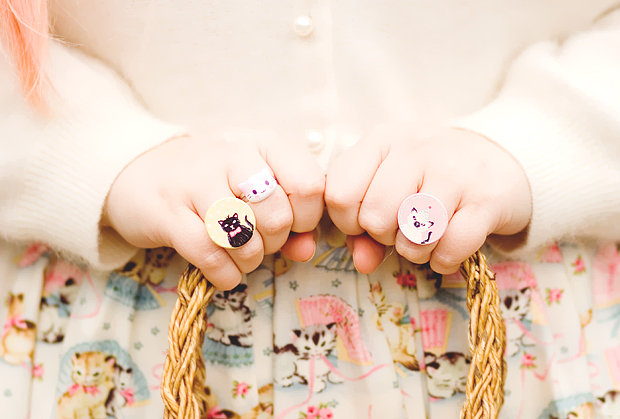 In honor of our Kitty Cat Throwback, we'd like to send one lucky winner a yard of Smitten Kittens or Kitties! Just tell us, are you a cat or a dog person? I'm a dog person usually. Cats judge us...hahaha! I am a dog person, however, my beautiful granddaughter loves cats. Cats! My daughter would go crazy over this fabric. I have both a cat and a dog, but prefer cats any day. 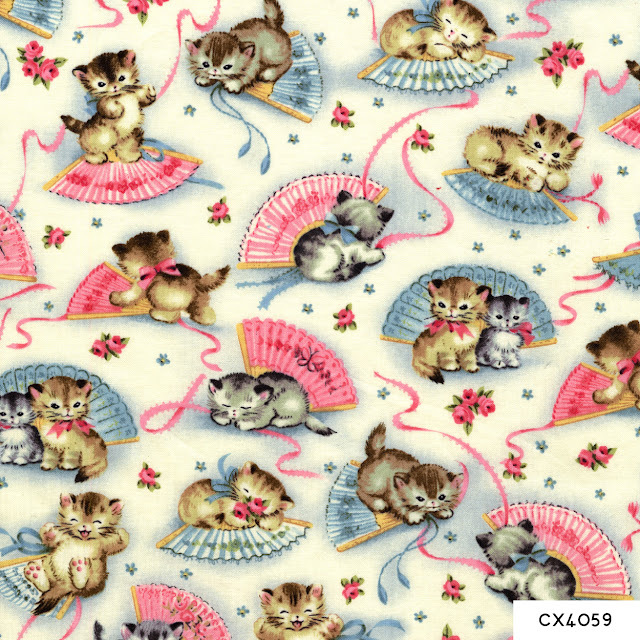 I WOULD LOVE SOME retro Kitty fabric. Cats rule all the way! We are a lover of all animals, but my four year old absolutely LOVES kitties! Dogs for me, only because my hubby is allergic to cats! I also grew up with dogs, no cats, so I don't know much about them. It's 4 cats to 1 dog at our house so I guess you could say cats win! Love this fabric! i have always been a kitty person; however, the last few years i have been a dog person. we love the terriers, they are so cute and smart and ,of course, VERY HYPER. I grew up with cats, and married a dog man. So I love both cats and dogs. Oh, I am definitely a cat person!! And this fabric is sooo cuuuute!!! These kitties are just the cutest! I am a Mom of 6 rescued cats and I love them to pieces! Thank you for the giveaway! Those kittens are just so adorable! I am definitely a cat person (although I do love dogs as well). Thanks! I have to choose cats. They are so patient with us! Throw Back Thursday :: Retro Cowboys!